They say that quite often big things come in small packages. This is definitely the case with Tsvi Sadan’s, The Concealed Light. 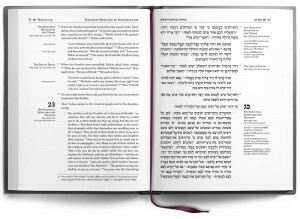 It is the most recent publication put forth by Vine of David, a ministry arm of First Fruits of Zion that specializes in early Messianic Judaism and the development of Messianic liturgical resources. Committed to excellence in both academic integrity and aesthetic presentation, Vine of David pushes the envelope in their latest offering. First, let me introduce you to Dr. Sadan. “Dr. Tsvi Sadan is uniquely qualified as the author of this book. Born in Israel, where he currently resides, he holds a Ph.D. in Jewish History from the Hebrew University of Jerusalem and has researched Jewish and Christian views of the Messiah for more than twenty years. Tsvi has taken on the task of becoming familiar with traditional Jewish materials. 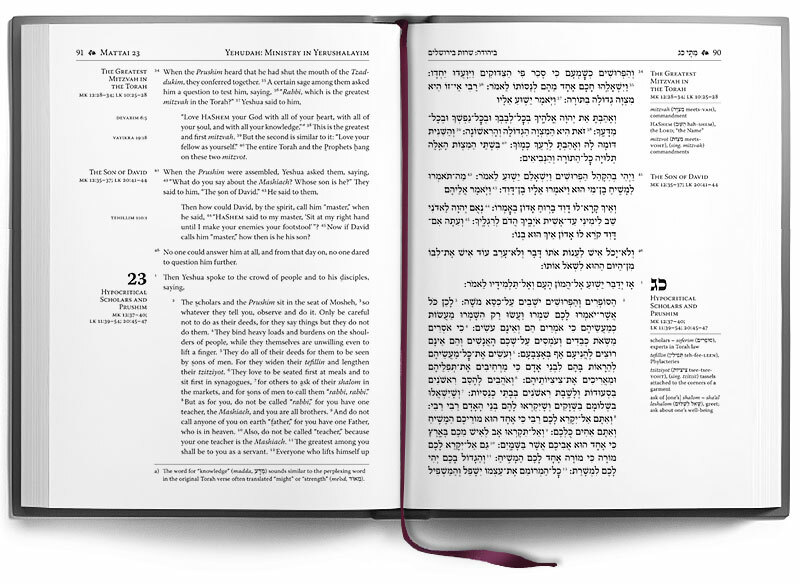 In this book he draws on this knowledge to give a picture of the Messiah found in Jewish literature but known to few Jews and fewer Christians.” 1 He also had an article published in the latest issue of Messiah Journal, entitled Halachic Authority in the Life of the Messianic Community. Now, let us move into the actual book. Acher (Different), Even (Stone), Adoni (My Lord), Or (Light), Ar’yeh (Lion)… The list goes on from Alef (א) to Tav (ת). These are the names of the Messiah of Israel according to what the sages have derived from the Holy Writ. In this beautifully crafted book, you will find one hundred and one names in all, each presented in Hebrew with their English translations, explained in laymen’s terms by native Israeli and Hebrew scholar Tsvi Sadan. 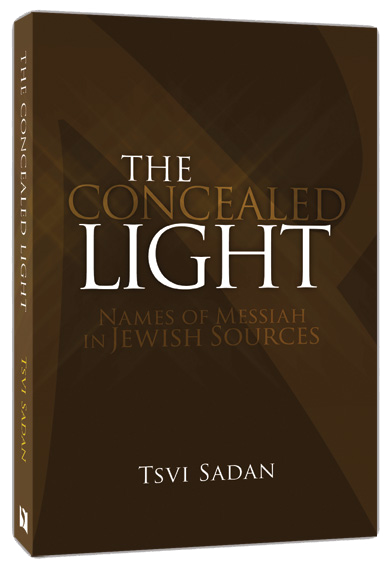 In The Concealed Light, Sadan goes deep into familiar rabbinic sources, such as the Talmud, Midrash Rabbah, Sifrei, Pesikta Rabbati, Zohar, etc. to pull obscure references to Messianic titles expounded upon by the sages, and clearly explain the significance of each one. But then he takes it one step further by delving into little known sources such as Sefer Yeshu’ot Meshicho and the Perushei Siddur HaTefillah laRokeach—many of which are only available in Hebrew—to bring out even more insights into the Messianic identity as affirmed by Judaism. This is just a small sampling of what this little package has to offer. In a sense, it is somewhat akin to Raphael Patai’s The Messiah Texts, in that it culls from a large volume of sources to offer us the very best gems. Couple this along with Sadan’s fluid elucidation, and you have a very palatable work. For Christians, this is a wonderful introduction to the Jewish concepts of Messiah and will help bridge the gap between the very limited understanding of the role of Messiah within Christianity and the dynamic range of insights found within Judaism. In addition to the quality of the text itself, Vine of David has done a brilliant job of packaging this gem to make it outwardly appealing as well. With its darkly contrasted tone-on-tone cover, deckled page edges and beautiful typesetting, The Concealed Light is not only a unique reference source, but could also double as a daily devotional or inspirational coffee table book. 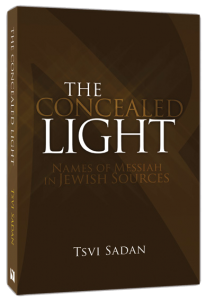 With its list of resources, which will inspire further research from the more scholarly, and its quick reference list of the various messianic titles in English, The Concealed Light will definitely be an attention grabber wherever it goes. I highly recommend it as an addition to your reference library, book club discussion or coffee table adornments. 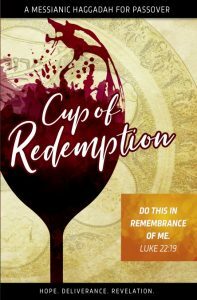 This book is available to purchase online from the Vine of David bookstore. Disclosure: I received an advanced copy of this book from Vine of David. In Heaven As It Is On Earth? 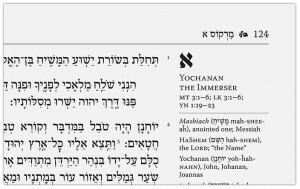 Recently, fellow Messianic (& prolific) blogger Derek Leman posted an article highlighting what is typically known as “The Lord’s Prayer.” He details a few issues surrounding this prayer (the differences between Matthew’s record and Luke’s, the connection of disciples with the prayers of their rabbi, use of liturgy, etc. 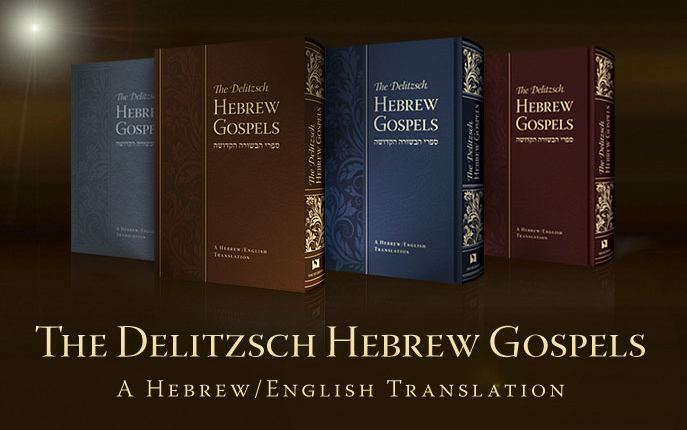 ), and also introduces us to Vine of David’s upcoming DHE (Delitzsch Hebrew-English) Gospel translation, which I was fortunate enough to be on the review team (I intend on posting more about this resource soon). Unfortunately, we see a problem immediately. The last line takes poetic license, and reverses the phrase from “On earth as it is in Heaven,” to become, “In Heaven as it is on earth.” I am definitely one for poetic license, but not when it reverses the sense of the text. So, now, rather than the will of the Almighty coming in perfection from His throne in Shammayim (“Heaven”) and bringing Ha’aretz (“the Earth”) into its submission, this top-down approach put forth by Yeshua has been turned on its head. In this version we see the will of Heaven submitting to that of Earth. I see where they may have tried to work around this by changing a few of the conjunctions, but overall it has the same end result: the will of (perfect) Heaven being transformed into the image of what is done on (imperfect) Earth. Author DarrenPosted on February 10, 2011 July 2, 2018 Categories Apostolic Writings, Nusach, Prayer, Vine of David, YeshuaTags Alaina, Derek Leman, DHE, Hebrew, Jesus, kingdom, Lord's Prayer, prayer, Roman, Vine of David, Yeshua3 Comments on In Heaven As It Is On Earth? Fellow blogger Derek Leman has a short post on his Yeshua in Context blog site about Yeshua’s teaching on the eye as the “lamp of the body” in Matthew 6:22-23. Although I commented on his post & gave some of this information, I thought it would be good to post a more complete version of my thoughts here. Matthew 6:19-24 is one of the first passages I point out to people who want to know why it’s important to understand Yeshua’s teachings from its original context, particularly the Hebrew idioms & terminology behind his words. Let’s look at this entire passage. I’ve used the NKJV, and left the headers from the translators to show the misunderstanding even at the level of scholarly translation. From there, they usually see a pattern, and that verses 22-23 “should” fit back into the context. They are then able to realize why it is so important is that we know the intended meaning of his teachings. It is easy for them to see how we will totally miss the point of what he is trying to convey if we don’t understand the original sense of the message, which hinges upon a Hebraic . And without this information, we will invariably make up a meaning that has absolutely nothing to do with his original teaching. For generations, Yeshua’s teaching in Matthew 6:22-23 has been interpreted in ways that are completely unrelated to the context of his subject, and stripped of its context (even at the pashat level). Often this text is used as a prooftext for moral purity and guarding the eyes. Although this is indeed a principle that Yeshua advocates (cf. Matthew 5:28), it is not at all what he is talking about here. However, this passage, if understood as being Hebraic in nature, fits completely within the context of the surrounding verses (19-24). And, unlike many instances of passages found within the Apostolic Scriptures, we do not have to turn to an outside source (such as non-canonical or rabbinic works), Scripture actually illuminates this passage itself. First, we need to put this passage back into Hebrew. 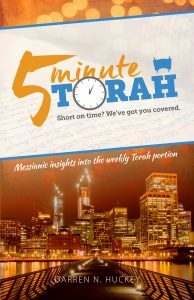 From there we can begin comparing it to other Scriptures in the Hebrew Bible, the Tanach (or the “Old Testament”). 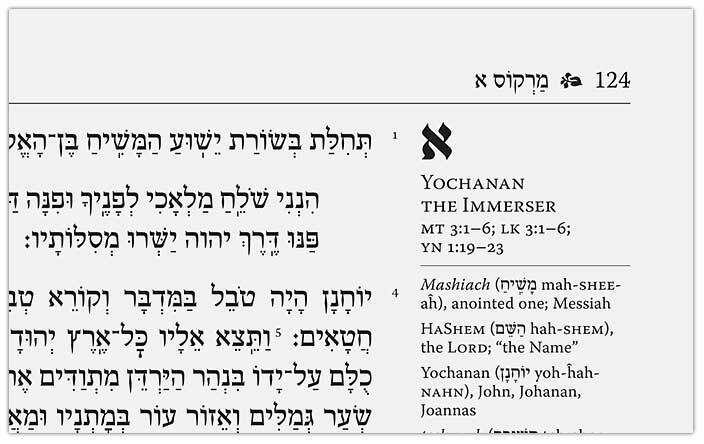 The Bible Society in Israel translates the phrase “your eye is good” in Matthew 6:22 as “עֵינְךָ טוֹבָה”, (ein’ka tovah) literally corresponding to our English (some texts translated the eye as being “single” or “clear” verses “good”). When we focus on the phrase “your eye is good” and we come across a passage in Proverbs. 22 “The lamp of the body is generosity. If therefore you are generous, your whole body will be full of light. 23 But if you are miserly, your whole body will be full of darkness. If therefore the light that is in you is darkness, how great is that darkness! With our new understanding in place, it completely changes our understanding of the words of our Master. 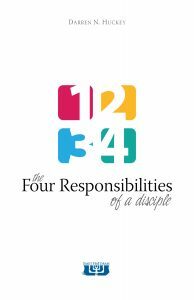 Rather than three separate teachings, we see a cohesive unit of teaching by which he warns against being attached to wealth and the “things” of this world and encourages us to create spiritual “wealth” in its place. This reading completely fits the context of verses Matthew 6:19-24, telling us this is indeed the intended meaning of Yeshua’s words. Look for my upcoming post, “Yeshua’s Use of ‘Righteousness’” which will give another example of insights gained from looking at the Hebrew beneath the Greek skin of the NT. It will elucidate more of Yeshua’s teachings, and expound upon many of the things discussed in this post. Do you want a resource to help you see these things in the Apostolic Scriptures?